Common wisdom tells us that we will be successful if we work hard. Be nice. Show up. It all makes sense, right? The project manager who reliably shows up each day and delivers should be the one who gets promoted, right? Eric Barker took a deep dive into the research of success and found that it's not quite that simple. 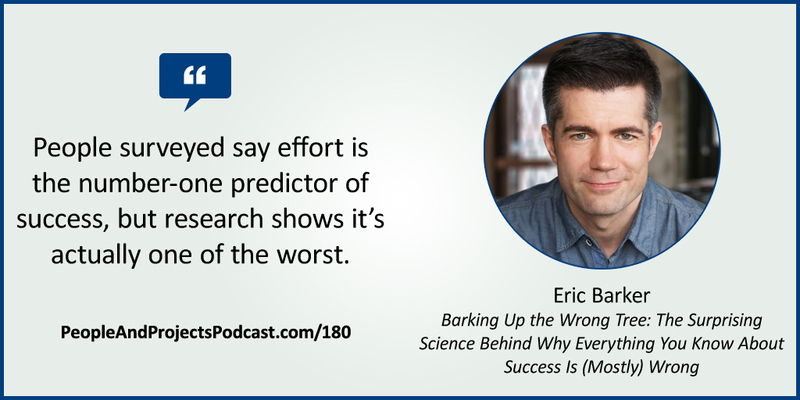 In this episode, we talk with Eric about his new book Barking Up the Wrong Tree: The Surprising Science Behind Why Everything You Know About Success Is (Mostly) Wrong. It's an enjoyable, evidence-based look at success that will have some surprising findings of any leader. Learn more about Eric at http://www.bakadesuyo.com/about/. Take the next step in developing your ability to lead and deliver by going through our Advanced Project Management e-learning course. 20 PDUs for a great price! Check it out! BUMMIN ON TREMELO by Kevin Macleod Licensed under a Creative Commons: Attribution 3.0 License. L & H by Jahzzar Licensed under a Creative Commons: Attribution-ShareAlike License. It can be uncomfortable to confront a team member or a peer. We can face demanding challenges, wondering if we have what it takes, hesitating to go "all in" because of the risk of failure. Delivering bad news is something leaders have to do, but rarely do we look forward to it. These are just a few of the challenges we face as leaders--each requiring us to reach beyond our comfort zone. It's one thing to know that good things are on the other side of our comfort zone. But just telling someone to "take the leap" seems to be insufficient, right? 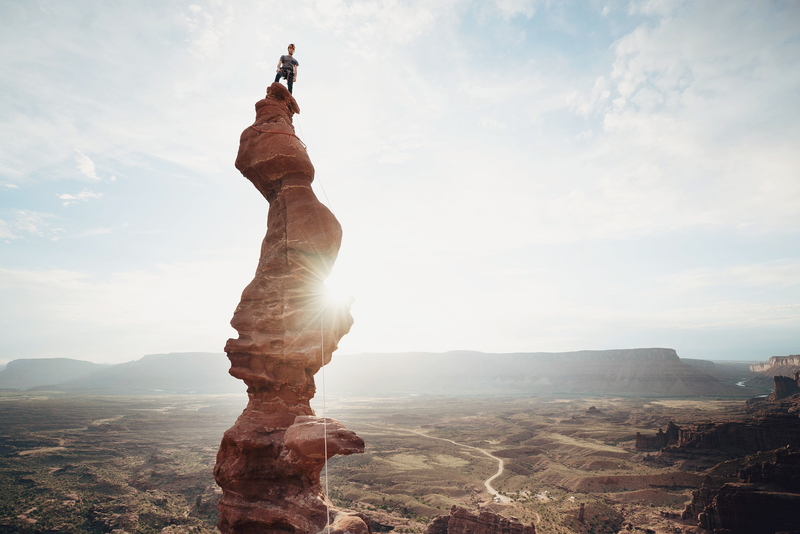 Andy Molinsky has studied why we hesitate to go beyond our comfort zones, and he's written a practical, evidence-based book on how to make the leap. 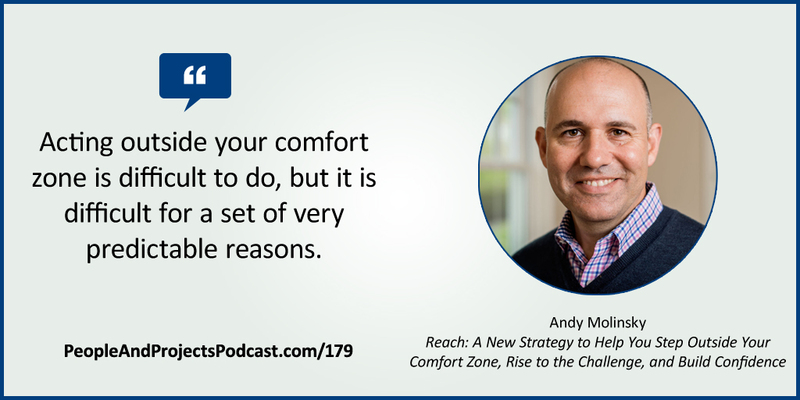 In this episode, Andy and I talk about his new book Reach: A New Strategy to Help You Step Outside Your Comfort Zone, Rise to the Challenge and Build Confidence. Learn more about Andy at http://www.andymolinsky.com/. At the very end of the outtakes in this episode, I share the story of my son Barrett Kaufman going way beyond his comfort zone. He runs a company that does video production and was hired for an adventure shoot. Listen to the episode for the story, but here's the picture of him way atop of his comfort zone! TOO COOL by Kevin Macleod Licensed under a Creative Commons: Attribution 3.0 License. Have a Mentor--Common Wisdom Right? Talk to enough highly successful leaders and project managers and eventually you'll hear them mention the value that one or more mentors have provided over their career. It's obvious, right? Common wisdom, for sure. But why isn't it common practice? 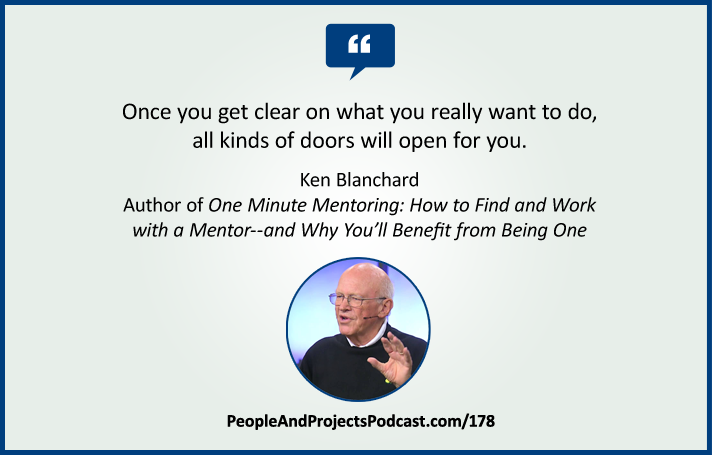 Ken Blanchard is one of my all-time leadership heroes and he joins us in this episode to talk about his new book One Minute Mentoring: How to Find and Work With a Mentor--And Why You'll Benefit from Being One, co-authored with Claire Diaz-Ortiz. In classic One Minute Manager style, this easy-to-read book provides a helpful guide for how you can develop a meangingful mentoring relationship. Learn more about Ken and his organization at http://www.kenblanchard.com/. 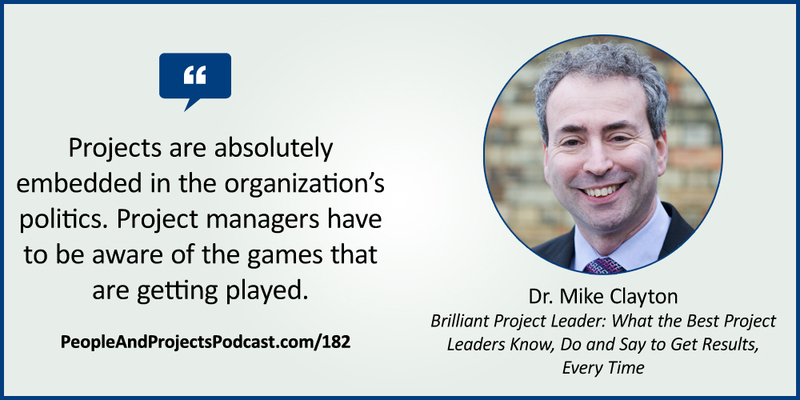 Learn How to Lead Projects! Regardless of your title, you lead projects. Learn practical insights in our Essentials of Project Management e-learning course. Thanks!